I saw the green pigeons first time in Sibsagar Assam. Firstly I was confused and took it for doves. I thought may be it is due some genetic defect in this bird. On close look, I discovered groups of them hanging on to the branches of Pipul trees and eating merrily the fruits which the trees bear when after autumn these are covered with new trees. I also observed another trait in these birds that unlike their cousins which prefer to roam on the floor and live in the houses, these pigeons never even came down and touched the earth. The birds were in plenty there. From the literature, it became known that they have Bangladesh, North-Eastern India and Burma as their habitat. I am not sure that this is exactly the bird which is called Hariyal in the other parts especially Maharastra where the bird had been the reigning state bird. After it dawned on the people who gives these titles to the birds that this bird is not unique to the state, the green pigeon has been stripped of this title and instead the Forest Owlet, a bird that is active during the day unlike its cousins, has upstaged the green pigeon as the state bird. 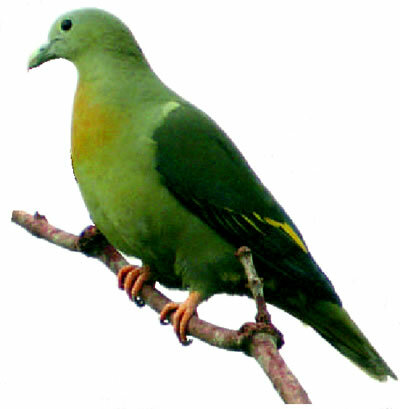 The honour is being taken away from the green pigeon because it has just dawned on the state that this bird isn’t unique to Maharashtra; it is found across not only India, but also in Pakistan, Bangladesh and Sri Lanka. Although this argument is arbitrary as can be seen from the fact that Magpie Robin is the state bird of Bangladesh, it is found in wide spread regions as far as Maharashtra in the Western edge of India. I am not giving arguments against the Forest Owlet being chosen to replace the green pigeon. It is us humans who tend to label the things. Neither the Green pigeon not Forest Owlet could care less about all this fuss about them. 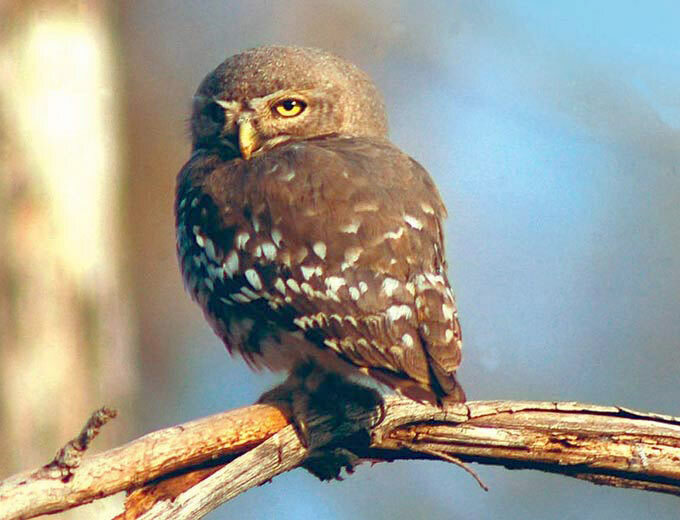 On the other hand, the Forest Owlet that was struck off as extinct for 113 years, was spotted one morning in November 1997 at the foothills of the Satpuras, northeast of Mumbai. “The recommendation to change the state bird will come up for approval when the wildlife board meets next,” said Anna Dani, additional chief secretary of the department of revenue and forest. The board, headed by the CM, last met in 2009. Later, in June 2010, the Bombay Natural History Society asked the government to take off the Harial (the green pigeon) as the state bird and elevate the snow-white Forest Owlet (duda) to that post. 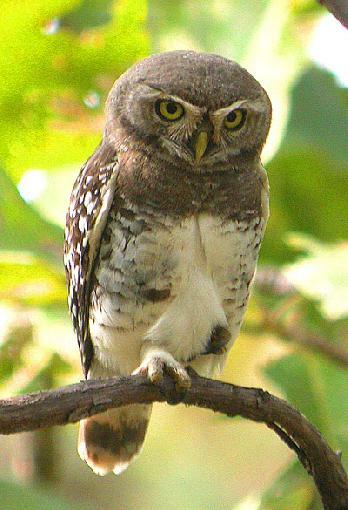 Forest Owlet is also known as Athene Blewitti or Blewitt’s Owl after the man who discovered the species in 1872 in Busnah-Phooljan in eastern Madhya Pradesh, now Chhattisgarh. From 1884 the species was missing and was considered extinct. But after a gap of 113 years it was rediscovered in November 1997 by Ben King, Pamela Rasmussen and David Abbot at Shahada near Taloda in the Nandurbar District. By the way, if you are really a bird lover then visit this exhaustive website.